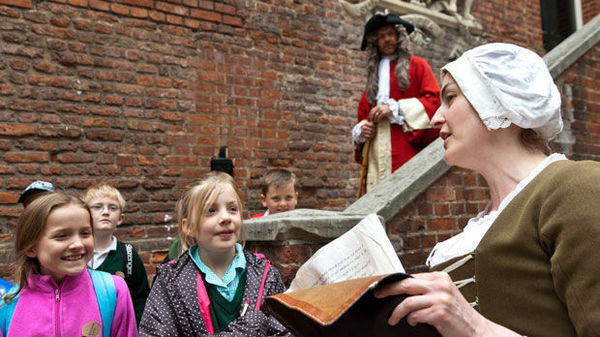 Historical tours at kid-friendly sights, such as the Tower of London, involve children in a memorable and fun way. 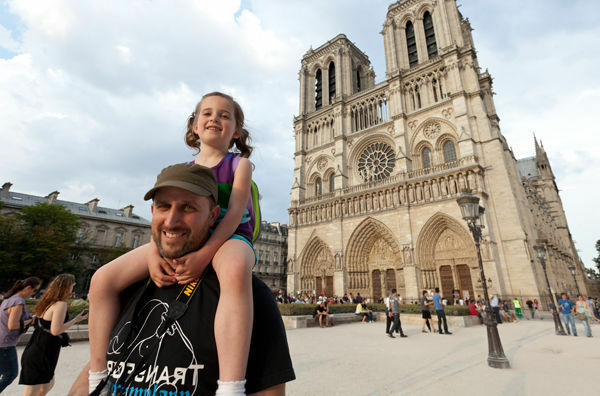 Paris’ top sights, such as Notre-Dame Cathedral, are a hit with kids, too. London and Paris are surprisingly kid-friendly, with many parks, fun squares, and youth-oriented sights. Here are some family-tested tips for tackling two of Europe’s most impressive cities. Take advantage of local information sources. Ask at tourist offices about kids’ events. Get entertainment guides cheap at newsstands. In London, check Time Out London’s frequently updated website, which includes handy kids’ calendars listing activities, shows, and museum events, all searchable by date and location. 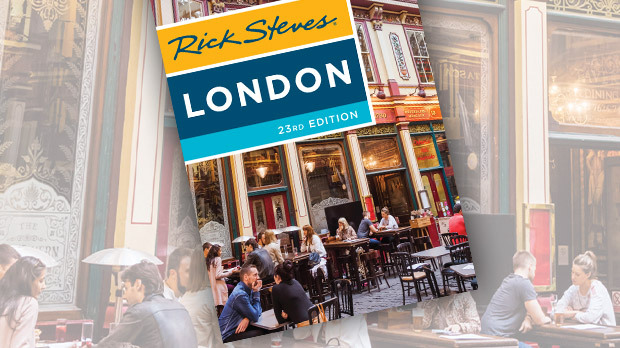 Their annually updated guidebook, London for Children (£12, available in bookstores and many newsstands), is chockablock with ideas for the serious parent tour guide in London. In Paris, the weekly Pariscope booklet lists boat tours, kids’ films, marionette shows, circuses, amusement parks, and swimming pools. It’s in French but not too hard to figure out; look under “Enfants.” The Paris tourist information bureau’s website lists hours and prices for children’s activities, including shows, museums, and park events. Hotel selection is key. Ideally, choose a hotel in a low-traffic area near a park. London’s big-budget chain hotels allow two kids to sleep for free in their already-reasonable rooms. The Premier Inn chain has several locations, including one at the London Eye observation wheel, and another located south of the Thames, near Shakespeare’s Globe Theatre. If you’re staying a week or more in Paris, consider renting an apartment. Public restrooms can be hard to find. Try department stores, museums, and restaurants, particularly fast-food restaurants. Visit popular sights early or late to beat the crowds. Kids get antsy in long museum lines. At each sight, ask about a kids’ guide or flier. Don’t overdo it. Tackle one key sight each day (e.g., the Eiffel Tower, Louvre, or Versailles) and mix in a healthy dose of fun activities. For an overview of London, consider the two-hour, double-decker bus tours. These drive by all the major sights, are fun for kids, and stress-free for parents. You can stay on the bus the entire time, or “hop-on and hop-off” at any of the 20-plus stops and catch a later bus. Stop by the Tower of London to see the Crown Jewels, and take an entertaining Beefeater tour that involves kids in a memorable and fun way. A delight for the whole family, the London Eye Ferris wheel offers the best views of the city from 450 feet high. Twenty-five people can ride in each of its 32 air-conditioned capsules for the 30-minute rotation (you go around only once so save a camera shot on top for the glass capsule next to yours). While in London, visit the Natural History Museum’s wonderful world of dinosaurs, volcanoes, meteors, and creepy-crawlies with creative, interactive displays. Next door, the Science Museum is a sprawling wonderland for curious minds, with lots of hands-on fun, an IMAX theater, and a kid’s zone in the basement. Madame Tussauds Waxworks, near Regents Park in north London, is popular with kids for its gory scenes and lifelike pop and movie stars. In Paris, the biggies with parents are a hit with kids, too. Bring Notre-Dame, Paris’ famous Gothic cathedral, to life by replaying Quasimodo’s stunt and climbing the tower. From this perch, kids stand nose-to-nose with the gargoyles. Young sailors delight in the one-hour Seine River cruises on huge glass-domed boats, best in the evening when the City of Light is lit. Stroll the Champs-Elysées with its Disney Store, fast-food restaurants, and fancy car dealerships. Paris offers a variety of perfect-for-kids parks and museum complexes. Luxembourg Garden provides plenty of outdoor fun from pedal go-carts and puppet shows to a wading pool, rental toy sailboats, and big-toys play area with imaginative slides, swings, and jungle gyms. The Jardin des Plantes (“Garden of Plants”) is short on grass but makes up for it with a small zoo and a great dinosaur exhibit at the paleontology museum. Street acrobats, in-line skaters, and skateboarders make Trocadéro square a happening scene for teens, especially in the evening. From here, the view of the Eiffel Tower — lit up white against the night sky — is stunning. A ride to the top of the tower is a thrill, day or night (book ahead online to avoid the line). Try to be there the first five minutes of any hour after dark to see it twinkle. Aquaboulevard is Paris’ best pool/water slide/miniature golf complex. It’s easy to reach and a timely escape from the museum scene. Indoor and outdoor pools with high-flying slides, waves, geysers, and whirlpool tubs draw kids of all ages. Versailles’ huge complex of palaces, gardens, fountains, and forest is a great Parisian family getaway (an easy 30-minute train ride from the city). Rent a bike for the gardens or a rowboat for the canal. The fountains are in full squirt on summer weekends. 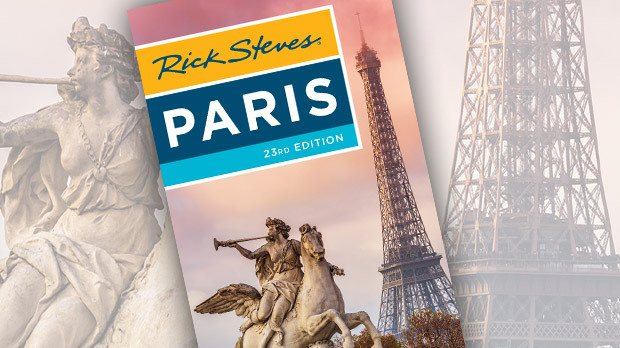 Steve Smith and Gene Openshaw are co-authors of the Rick Steves Paris guidebook; Gene is also co-author of the Rick Steves London guidebook.